A Reddit user Doopl has come across two screenshots of what appears to be the “L” release of Android. 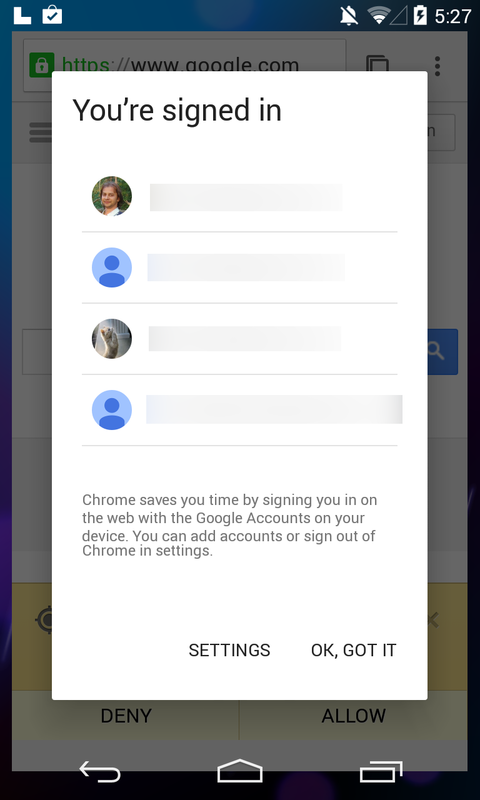 The screenshots come via the Chromium Issue Tracker, which has been the source of leaks many times in the past. 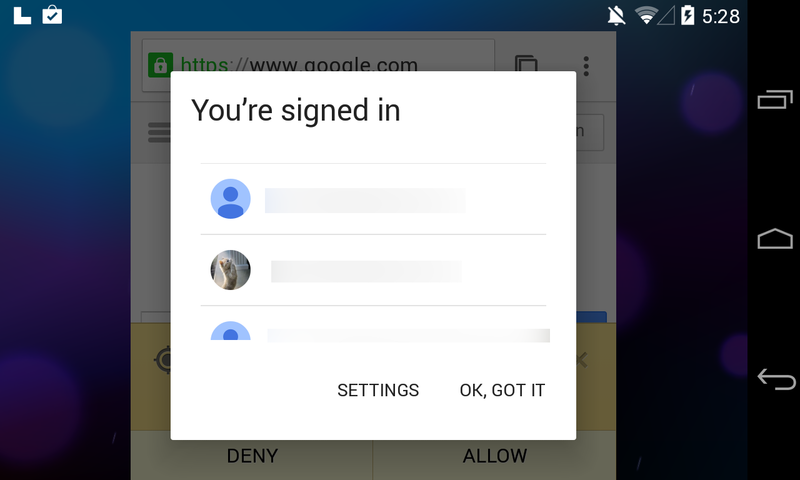 The images show a Google login dialog box that looks entirely different than what you'll currently see on an Android 4.4 device. The shots are 1280x768, indicating that they're from a Nexus 4. Also of note is the fact that the screenshots don't show background protection (the subtle gradient) behind status and nav bars. The image you see was attached to a bug report from the fine folks who build Chromium. Apparently there is an issue with the code that causes windows to not be drawn correctly when a device is rotated from portrait to landscape. The post has been pulled, of course, but not before everyone interested was able to get some screenshots. Above is the most interesting one. There's an upper-case L where the debugging icon should be. Chrome will have a new status indicator for https pages. This version of Android has a bell next to the clock that looks very much like the Chrome desktop notifications bell. The pop-up message has a new look. Finally, the Chrome window isn't full screen. It's floating in some position where it dips into the navigation bar halfway, and you can see the desktop on either side. Like I said, we have no idea what any of this means, if any of it is final software, or even what device it comes from. We just wanted to share and enjoy the discussion.